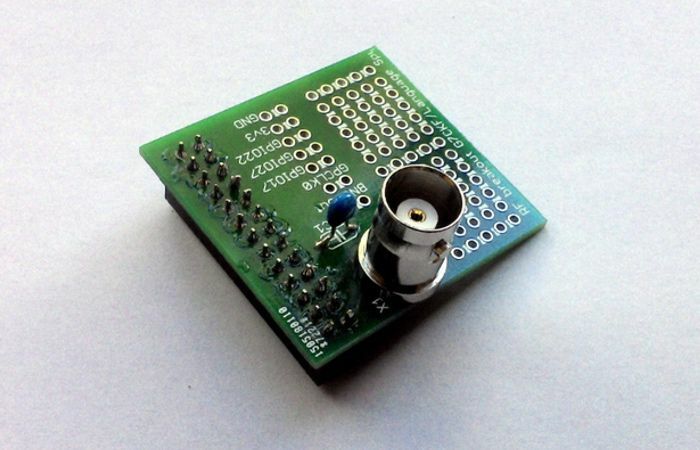 An expansion board supplied as a self-assembly kit, designed for experiments with the Raspberry Pi as a radio frequency source or radio transmitter using the programmable clock generator built into the Pi’s processor. 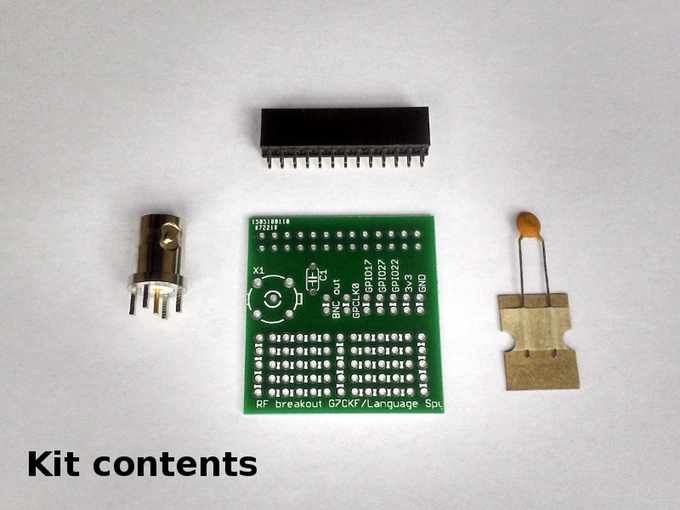 This kit is aimed at radio amateurs and electronics experimenters with an interest in radio. It has plenty of scope for interesting the Pi’s primary audience of younger people in the world of electronics and radio by showing them that a Pi can achieve long-distance communication and talk to something in the real world rather than on a breadboard. The Raspberry Pi clock generator is a powerful frequency synthesiser which can generate frequencies up to 250MHz at the Pi’s 3.3v logic levels. This is enough to provide a useful RF signal source for experimentation, or given suitable filtering and antennas to allow the Pi to be used as a low-power radio transmitter by users with an appropriate licence. The kit brings the clock generator as well as three GPIO lines and the 3.3v supply to solderable headers on a PCB. It also provides a BNC socket for RF output, and a DC blocking capacitor to protect the Pi processor from damage. A prototyping area is provided for the construction of RF filters or transmitter control logic.